nate12285 wrote: Double Beard Down!!! 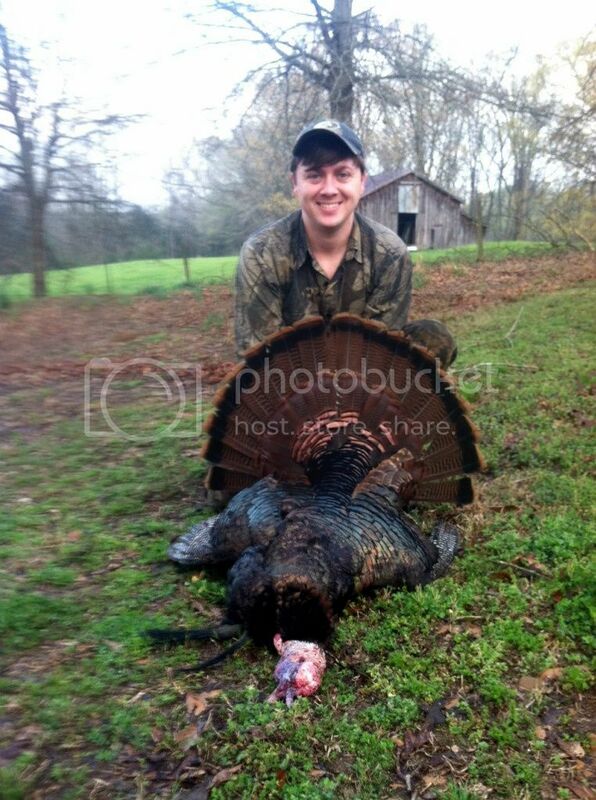 This turkey gobbled his head off this morning. I don't believe I have ever had one so fired up on opening morning before. He started gobbling at 6:20 this morning so I made quick move on him and got to within about 200 yds of him. Made a few tree yelps and he answered quick. Kinda played the quiet game for a little while and let him gobble on his on until it was flydown time. I did some yelps and cut down and he really got fired up then. A few mins after 7:00 he shut up and I knew he was either on the ground or something had spooked him and about that time he gobbled and was on the ground. Gave him one more call and shut up. Two or three minutes later he gobbled and was closing the distance fast coming through the pines. He came out in the opening about 70 yds from me and gobbled and strutted on in to about 25 yds and I let him have it! His longest beard is about 10.5-11 inch beard and other beard is about 8 inches. Spurs are probably 7/8. I had to get to work so didn't have time to make my measurements for the contest but will do it after work today!! Great way to start the season off!!! !